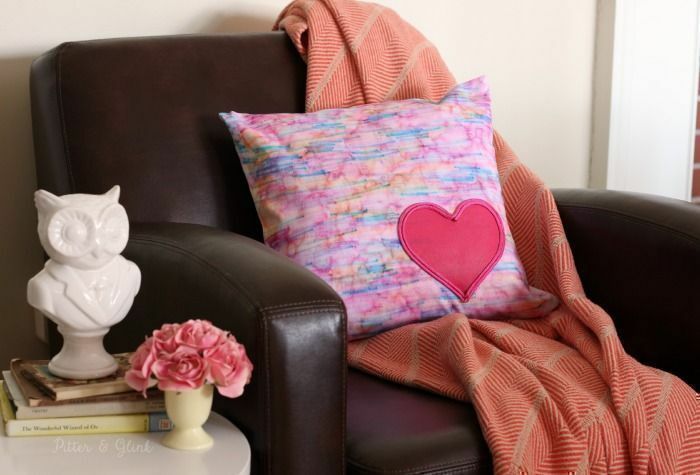 Why not create beautiful, personalised gifts for V-Day? You could use an idea or two from these wonderful art and craft activities. We've scoured the Internet to collect DIY projects to help you express your feelings to that very important person in your life. Little things done with love carry with them big messages of love. 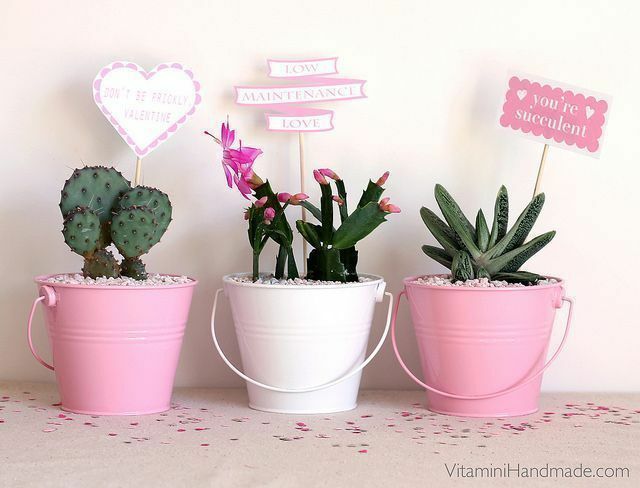 So get started with these projects and expect loads of hugs and kisses from your Valentine. A coaster is one of the most common DIY projects because it's easy to make. First, clean the tile by spraying glass cleaner on it. Start designing the tile. 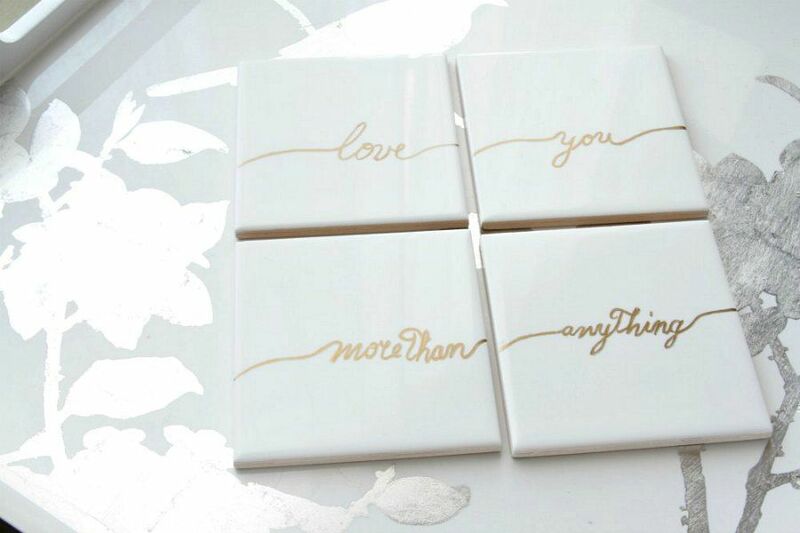 Whether you want to write or draw on it, just make sure the tile's thoroughly dry. Set your tiles by baking in a 350F oven for 30 minutes. To avoid damaging the surface of your coasters, stick small plastic dots or felt squares underneath using glue gun. 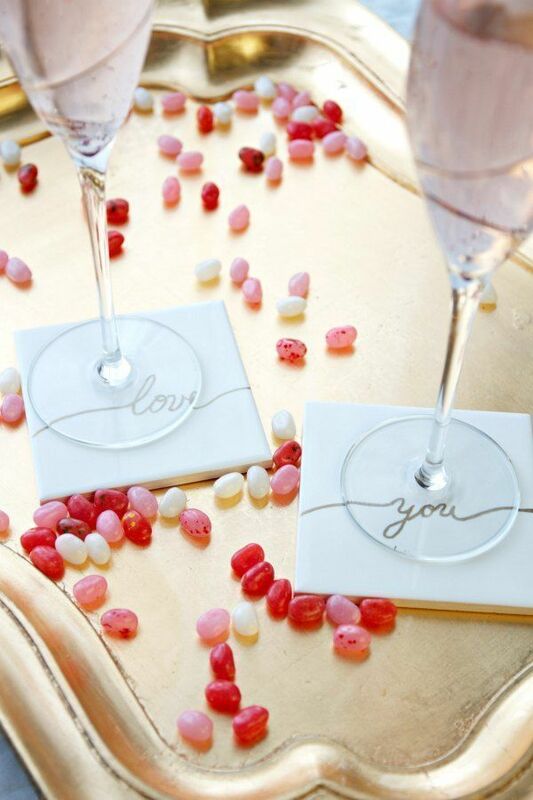 Use these personalised coasters when you toast to a beautiful love story on the 14th. Level up your tea time bonding with a handmade bag in the shape of a heart. 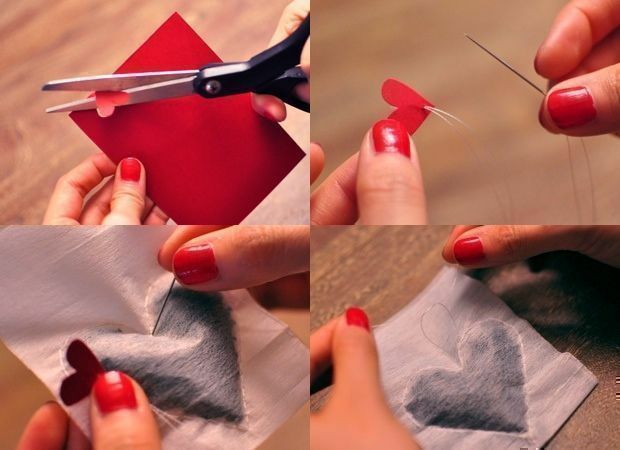 Using a construction paper, cut a heart and put it over a tea bag and sew around it, leaving about an inch of opening. Get help from a funnel and fill the the heart with your favourite tea. It's then time to close the heart by stitching it. Complete the look by creating a tea tag: cut a small heart from a construction paper. 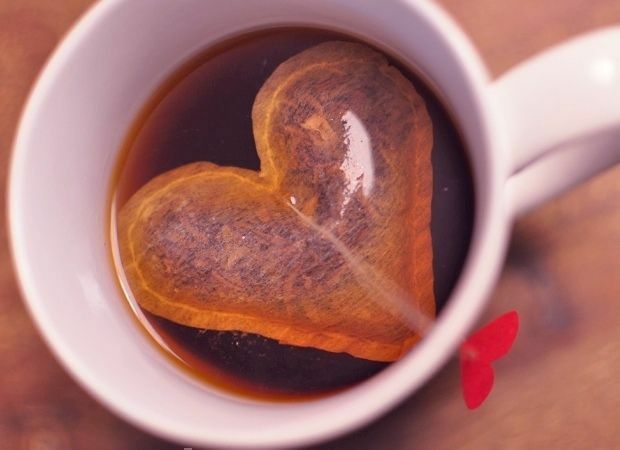 Sew it onto the heart-sewn tea bag and voila, your own tea bag made with much love! 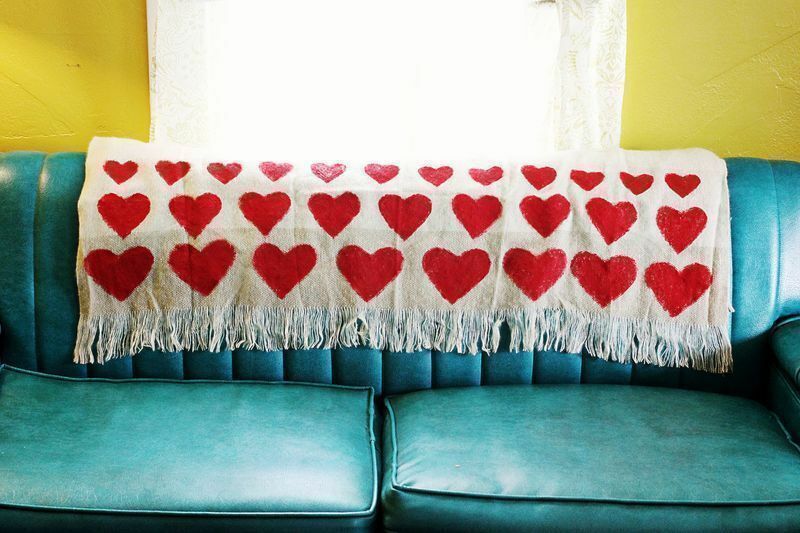 Deck your home with some Valentine-inspired decor. Grab a pillow cover, scribble over it using Sharpie pens (whichever colour/s you prefer), and spray alcohol to saturate the colour. Let your art project dry. Print a heart and cut out the middle part. Tape it down the pillow and use as a guide to glue the pink paracord. Once the paracord is in place, paint the middle part of the heart with fabric paint. Once the paint is dry, stuff your pillow and display. Okay, your fridge is home to a collection of magnets from your travels. For V-Day, why not display something that is closer to your heart: a photo of your loved one, your wedding picture, or any snapshot that reminds you of a sweet moment together? Using a brush, apply a thick coat of waterbase glue/finish to the front edges of a photo frame. Follow a heart shape, ensuring that there is a "window" to display a photo. Immediately sprinkle the red glitter onto the area where the glue was applied. Allow the decoupage to dry. Brush off excess glitter. Apply another coating of waterbase glue/finish and allow to dry. Staying at home for Valentine's Day is sometimes a better option than waiting for hours for an available table in a jampacked restaurant. 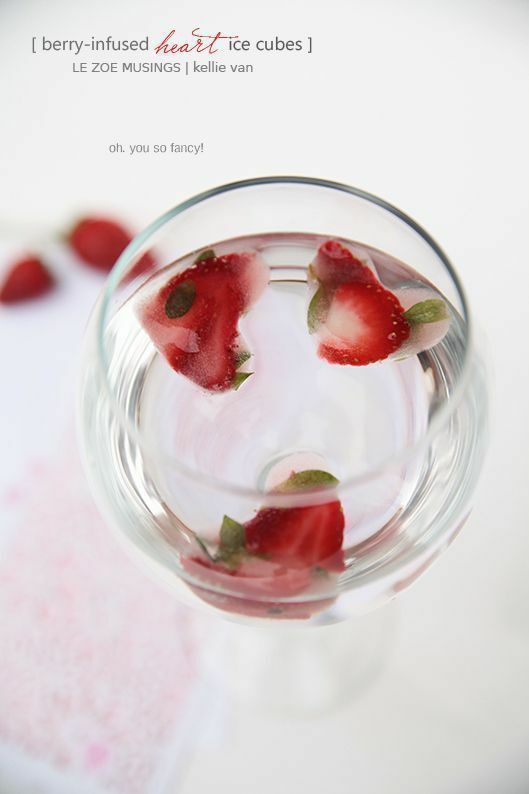 Enjoy an intimate time at your pad by whipping up some fabulous cocktails and nibbles for a laidback romantic dinner. What will make it more fun? 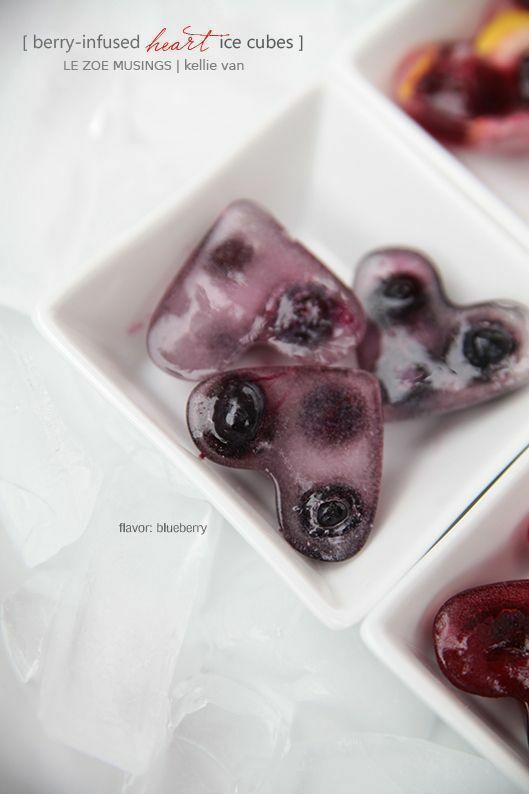 When he/she sees cute heart-shaped ice cubes in his/her drink and they taste like berries! How to do this "cool" project? Easy peasy. Cut the berries in sizes that will fit the mould, add water, and let it sit in the freezer. This craft project perfectly symbolises your low maintenance love. First, create some holes at the bottom of your buckets using a nail and hammer. Add a layer of succulent soil and plant your cacti. Be careful not to hurt yourself and damage the plant. Now, spray paint a thin layer of gravel in a cardboard box. When they're dry, layer them over the succulent soil in the bucket. 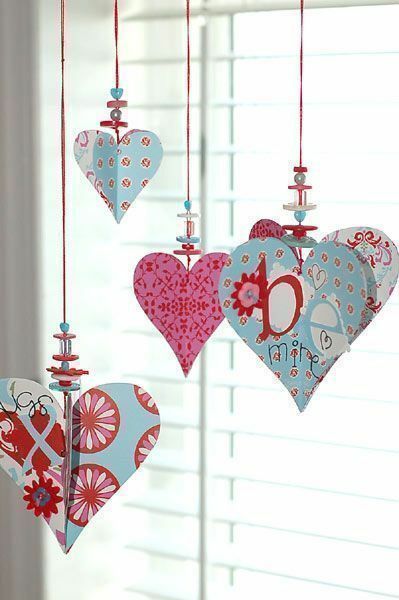 Print Valentine-inspired tags and stick them onto the wood skewers. You can now place these tags in your newly-potted succulents. Here's another easy-to-do DIY project. You can even have the kids join you and have a grand time bonding over finishing this art task and decorating the house with it. Cut four hearts of the same size from the patterned paper. Score them, fold in the middle, and glue them together. Now, punch a hole on top. String buttons and beads in a thread and loop through the hole. 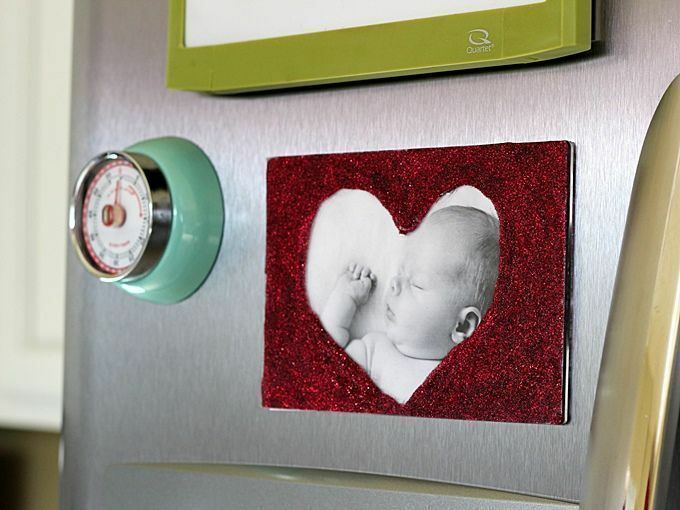 You can start hanging them in the house to create that Valentine look and feel. 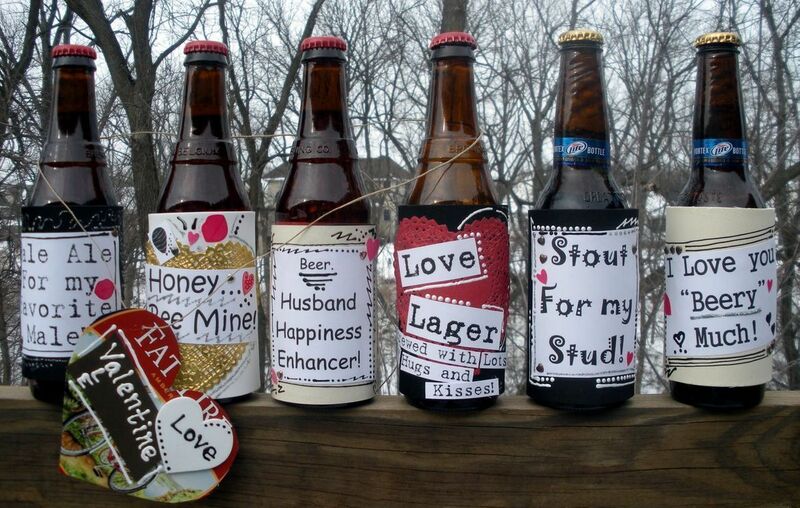 Show your drinking buddy-slash-partner that you love him "beery" much by getting creative with his favourite bottles. Print out clever beer slogans (did you notice how cool the ones in the photos are?) on card stocks. Decorate them using paint and stickers. Wrap them around the beer bottles. Display them on a shelf or on the table and wait for your hubby's priceless reaction. One no-fuss way to update the look of your living room is to throw a printed blanket onto the sofa. With the Day of Hearts coming, one with heart designs is recommended. Begin by creating a heart stamp. Cut out heart shapes of different sizes from the cardboard. Add corks to the back of the heart-shaped cardboards to make a handle. Paint the cardboards with red and start stamping onto the blanket. Just continue until you are satisfied with the pattern you created. Once dry, throw over yourself and your special someone while cuddling on the sofa. 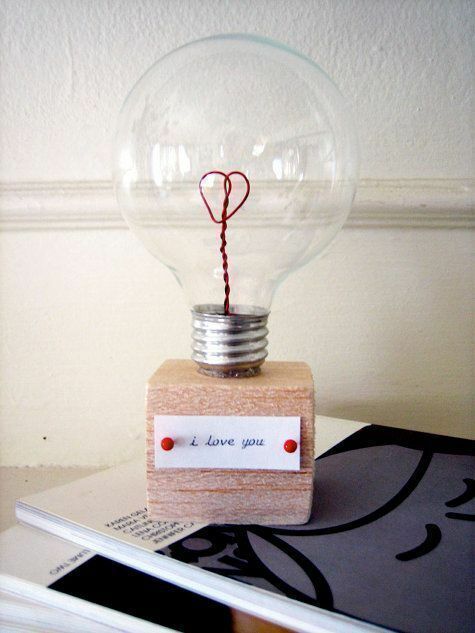 If your special someone lights up your life, let him/her know it through this DIY present that he/she can display in her bedside table. First, hollow out the bulb and clean it afterwards. (Note: Be careful when doing this. See tips here.) Using a 10-inch piece of wire, create a heart "filament." Your hearts should be about 1.2" wide to fit through the base of the bulb. Check how long the stem needs to be for the heart filament to be in place in the centre of the bulb. Use the pliers to cut off extra wire. In the soft wood, poke the wire filaments down into it and make sure they stay in position. You can also use glue. Now fit your glass bulb over the filaments and glue the bulb down to the wood at the base. Attach your printed message on the front of the wood using pins.